an ever-increasing troop of baboons. 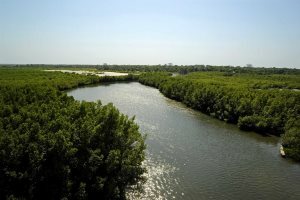 A new word in tranquillity: relax in understated, quiet beauty on a secluded mangrove-lined tributary of the River Gambia. 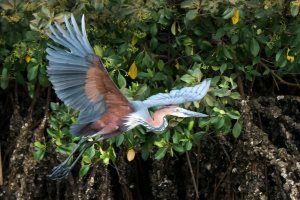 A unique ecosystem bordering the River Gambia, with over 1,000 acres of protected pristine forest, savannah and mangroves. Mandina is a patch of heaven on earth – tranquil, lush, peaceful and full of fabulous wildlife. 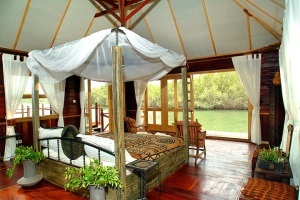 The stunning lodges are just perfect – this place is simply awesome.